Traditionally Artisan mask made with paper mache as they did in the 16th century. 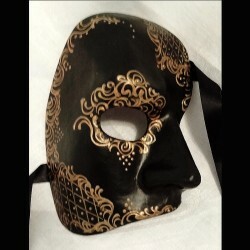 Traditional black mask with gold designs. Very handsome mask. Wearable and home decor.